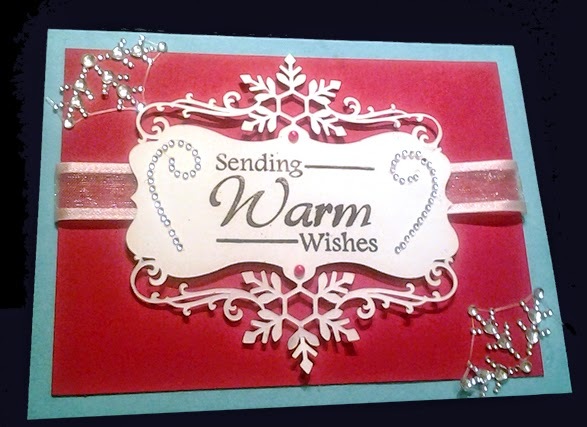 Day 9 of 12 days of Christmas challenge at StampTV. Patchwork embossing folder using blue and pink ink. 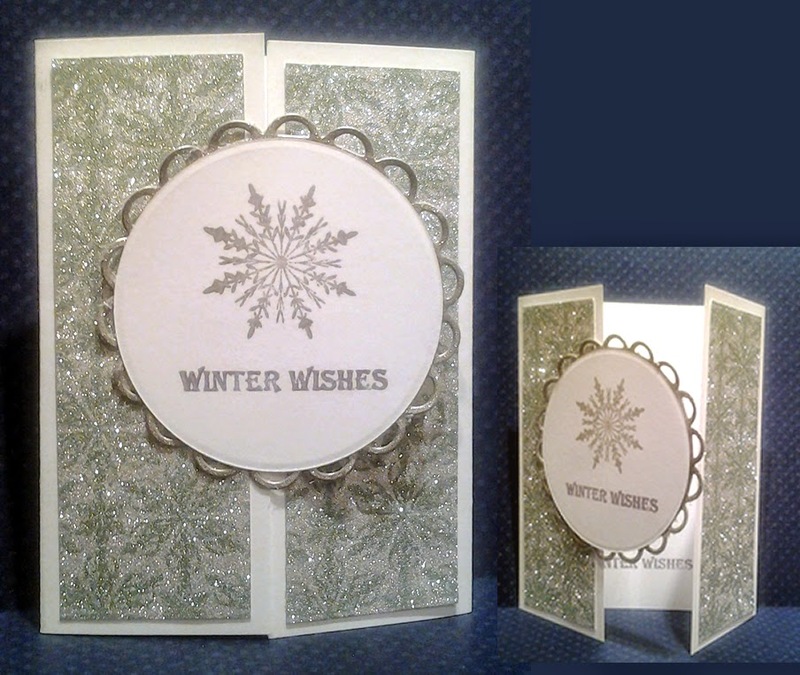 Stamps are GinaK, snowflake is a Silhouette cut file. 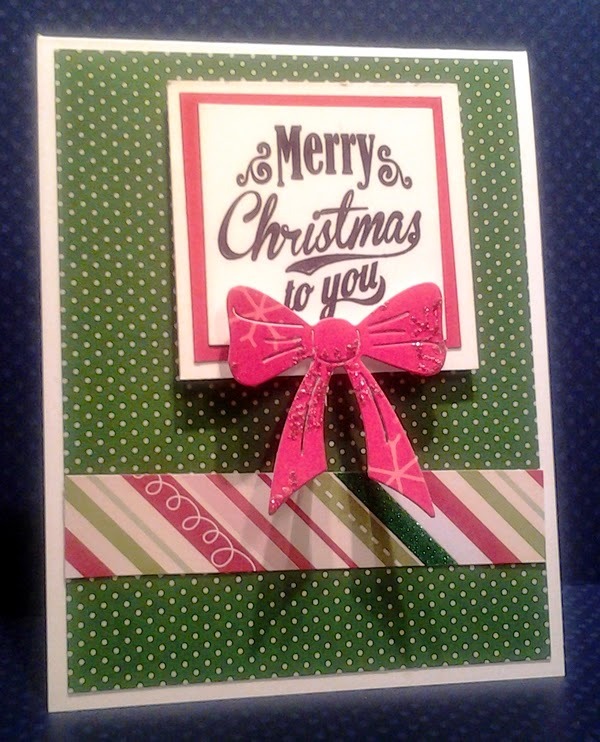 Day 10 of 12 days of Christmas challenge at StampTV. Embossed GinaK Pure Luxury Honey Mustard cardstock with coral embossing powder. I sanded the raised edges. Paper and sentiment all Gina K Designs. Day 7 of 12 days of Christmas challenge at StampTV. 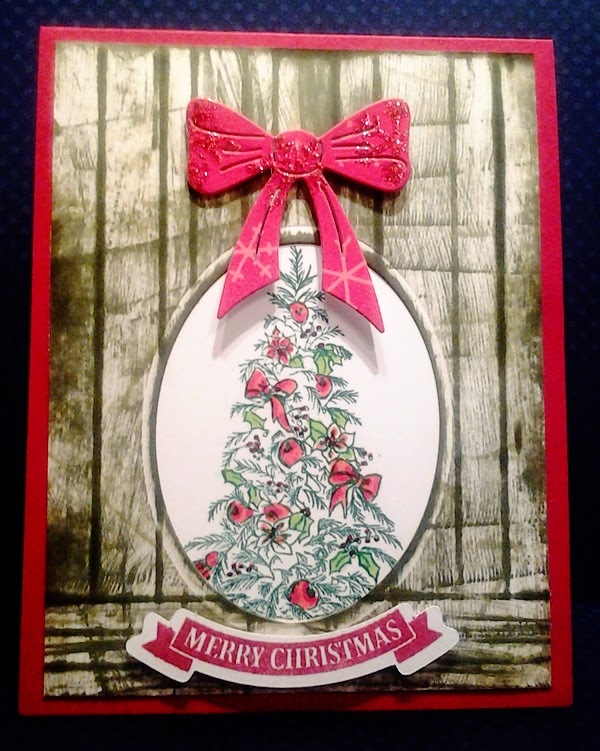 Day 8 of 12 days of Christmas challenge at StampTV. This challenge was to make a woodgrain. I made uneven slats and did direct ink pad in Charcoal Brown (GinaK) and Vintage Photo (Distress). 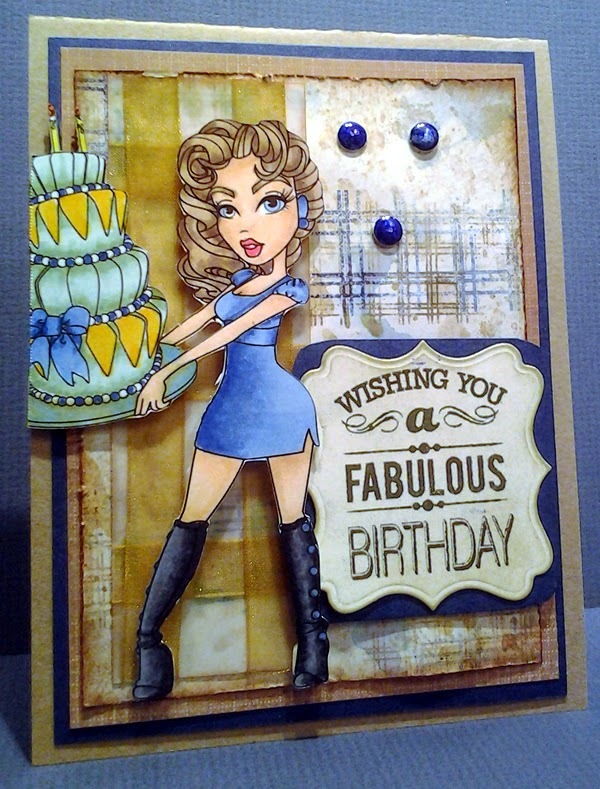 I used the negative space card left over from cutting out ovals for another card. The stamps are both GinaK Designs. The die I believe is Cheery Lynn. 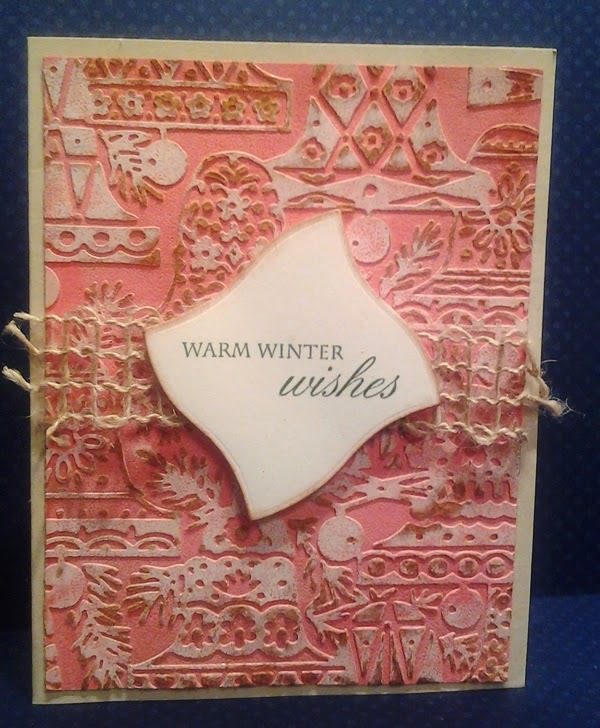 Day 5 of 12 days of Christmas challenge at StampTV. 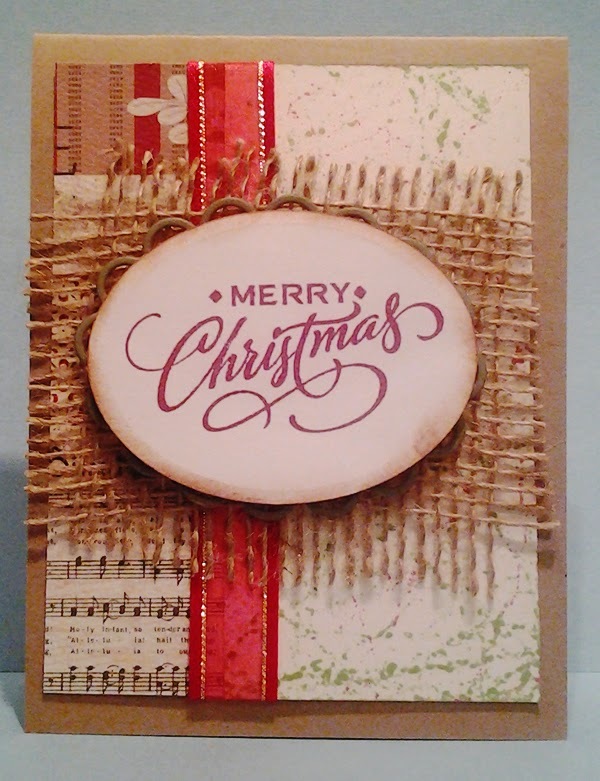 Day 6 of 12 days of Christmas challenge at StampTV. 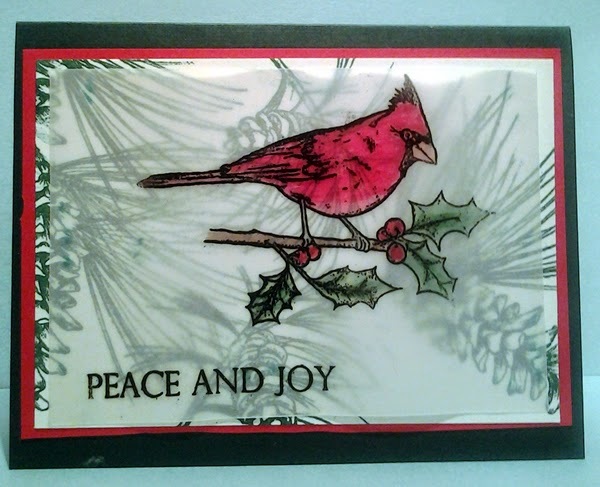 Day 3 of 12 days of Christmas challenge at StampTV. 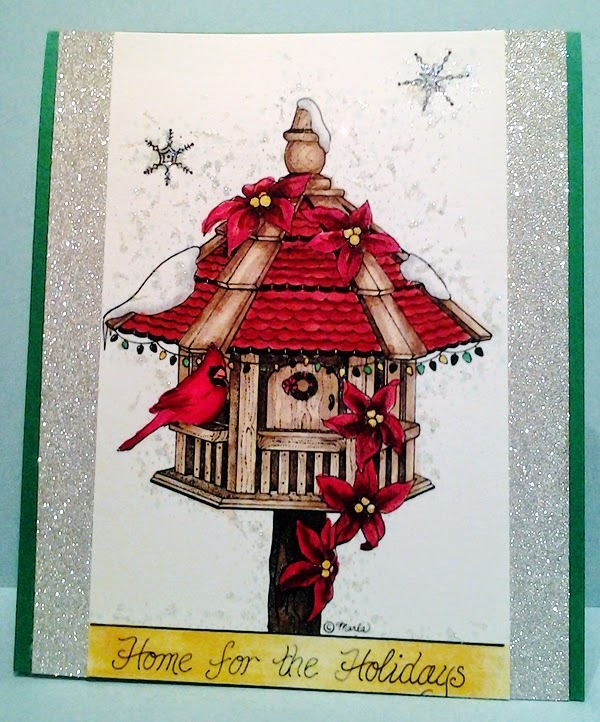 Day 4 of 12 days of Christmas challenge at StampTV. 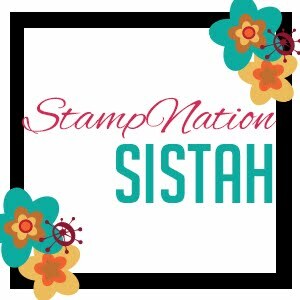 Day 1 of 12 days of Christmas challenge at StampTV. The challenge was to use marbles for the background. 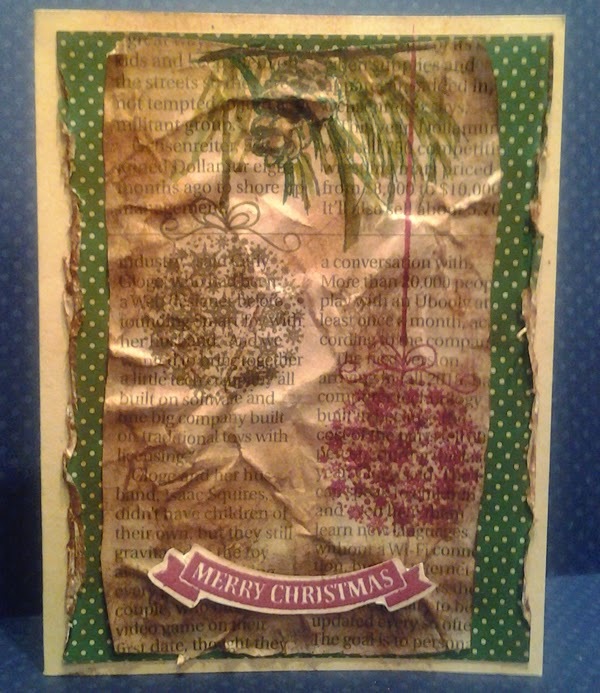 I used Cherry Red, Christmas Pine and Kraft GinaK inks. The challenge was to make a gift tag holder. 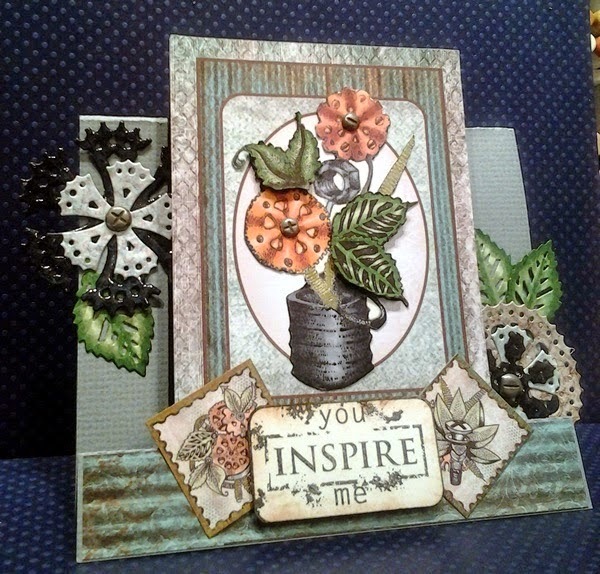 The paper is from the Winter Cheer StampTV kit and so is the sentiment. 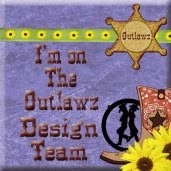 I made this card using Heartfelt Creations paper, stamps and dies for "All Geared Up". I used this card for The Mod Squad Challenge. 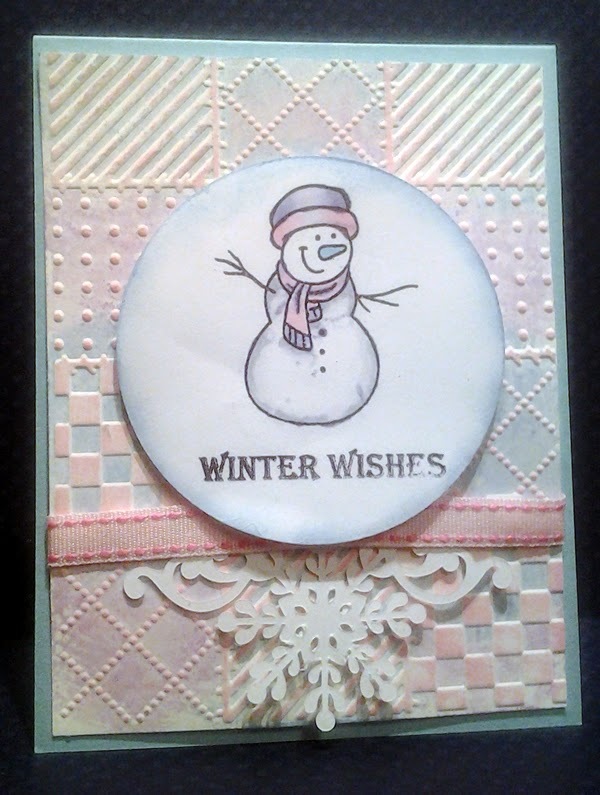 I used one stamp from the newest Gina K Designs kit...Winter Cheer. 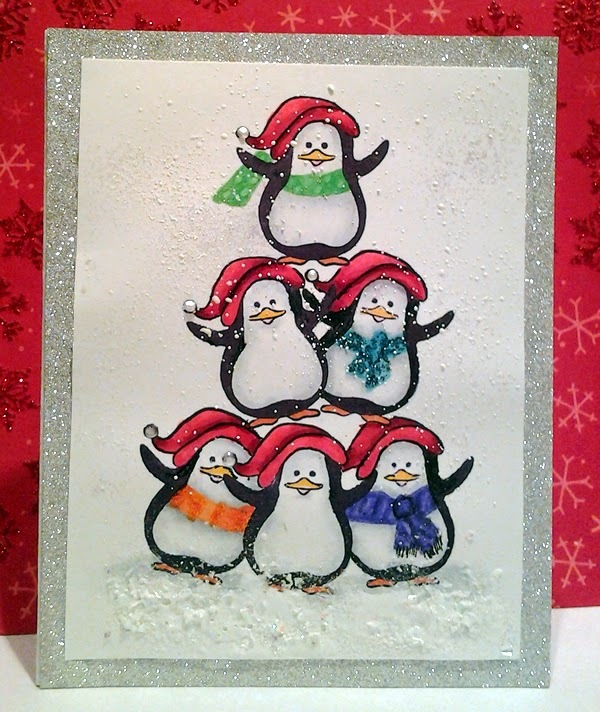 And the Gina K. Black Onxy ink pad for the penguins.Using the same penguin I just rotated the stamp a bit, and masked. I then drew on scarves with a pencil to make it appear like different stamps. I colored with Copics. The snow is my homemade "Frantage" which I used white UTEE, glitter and Ice Crystals. I added some Perfect Pearls on the hats and Wink of Stella. Stickles on the scarves and backed the front panel with DCWV Glitter paper...lots of shimmer and Shine.